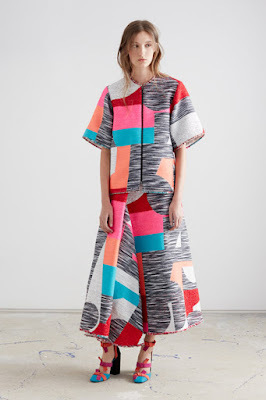 Cubist-influenced shapes and contrasting colors pattern these garments. 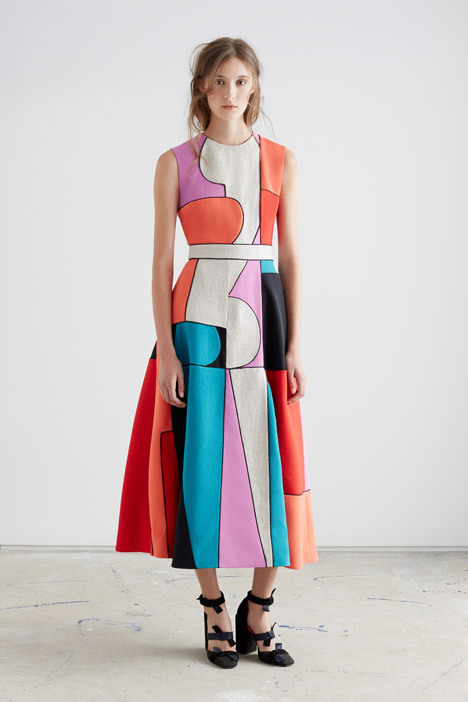 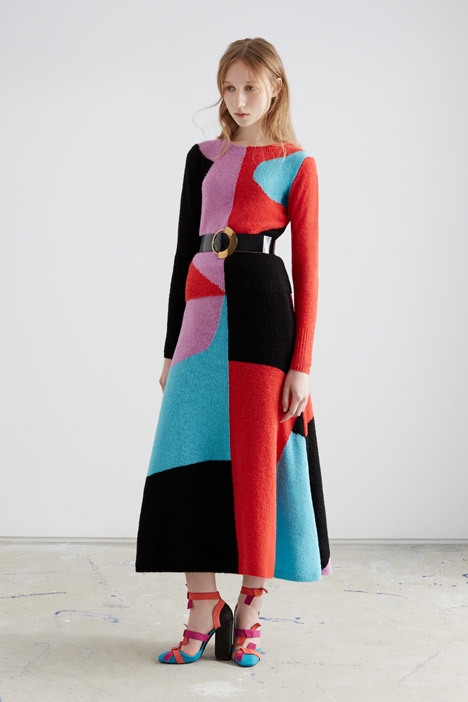 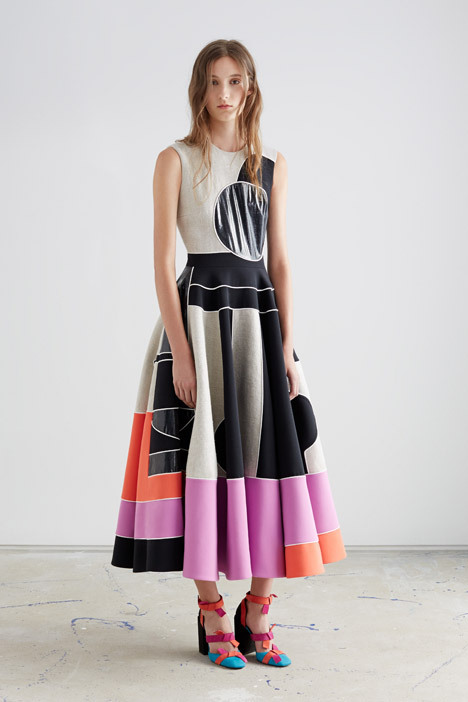 Known for its bold use of color and geometric shapes, the brand led by Serbia-born designer Roksanda Ilincic has continued this approach for its Resort 2016 collection.The outfits were unveiled earlier this week at Roksanda's flagship store on London's Mount Street, which opened last summer with an interior by architect David Adjaye that references elements of the brand's fashion designs. The blocky, geometric patterns are based on deconstructed shapes similar to those found in the early 20th-century Cubist art movement, made popular by artists Pablo Picasso and Georges Braque.